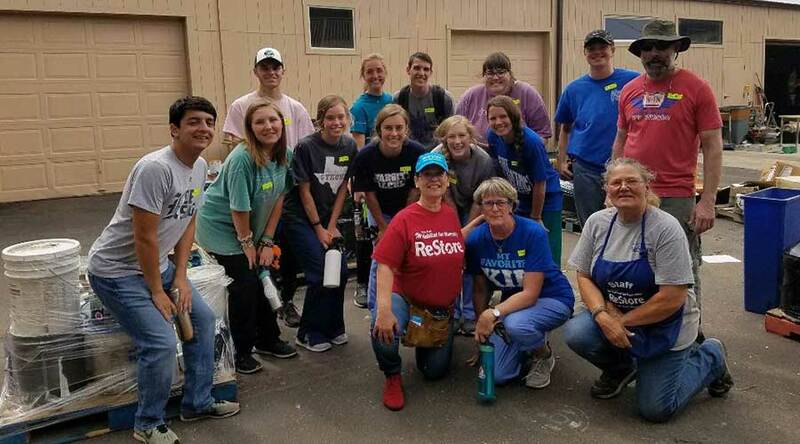 During this past summer Next Step students and leaders have been working with Mission Medical and Crossfire Ministries off of La Salle Street. Throughout the weeks we would walk across the street from Mission Medical’s health clinic to help with Crossfire’s food pantry. While all the commotion was happening and construction projects coming together, another local school took notice on that same street. That school is called RoundUp School and Day Treatment. The Roundup School was developed for dual diagnosed students who experience difficulties in more traditional school settings. They offer a therapeutic, small group setting where students receive individualized attention. They help students feel safe, develop relationships, learn basic academic and community skills. Within the short amount of time I have talked with RoundUp School I have quickly found that it is a special place. It is a place that advocates and cares for their students and seeks the best learning environment possible. Next Step is excited to begin working on remodeling projects around their building where it needs attention, while school is happening. We will get to experience what they are actively doing within the community and how they are serving their students. Many families within this community depend on RoundUp School for educating their kids while they can also care and give them the attention they need. I am enthused to not only improve the learning environment within the school’s building but also fellowship with the students this coming summer. 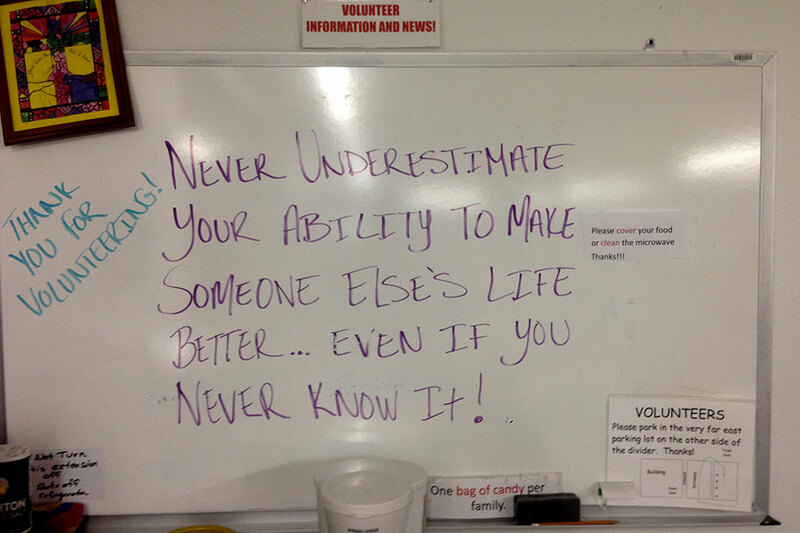 It’s a great reminder to always keep an open eye within your community where you’re already at. Something right next door may be an opportunity for relationship, partnership and serving to meet one another’s needs and has been there the entire time. Thank you God for this new relationship within the Colorado Springs Community! Woohoo! Next Ministries in Colorado Springs has been involved with something called Brothers Redevelopment. Brothers Redevelopment is a Denver-based nonprofit organization that provides housing and a variety of housing-related services for the region’s low-income, elderly and disabled residents. As many residents from the Colorado Springs area call Brothers for help, many may not fit their criteria to work with. As Brothers knows what Next Step does within the local community and our type of work, they will let a homeowner know about us to reach out to, and hopefully we may be able to meet that homeowners’ needs in some way during our summers. Another organization called CONO works with neighborhoods in Colorado Springs. Their work could look like anything from helping a neighborhood organize an HOA, a safety program, or other community type get togethers. Additionally, another organization here in town is called RISE – they exist to support young people who run community service projects. This could look like anything from a local school outreach, backpack drive, or a golf tournament. Now, each of these organizations have decided to get together to see how we could focus our skills and efforts into a certain neighborhood. As this neighborhood/area within the city meets many of the criteria each of our organizations use, we have began planning how to put the word out and help homeowners within this focused area. A large part of this is something called the Paint-A-Thon. Brothers Redevelopment has done this in Denver with success over the years and wants to implement it down in the Springs. This would help homeowners paint their homes with volunteers from the local community doing the work alongside them. We’d also focus on cleaning up the area in hopes of making it a safer place for the community. 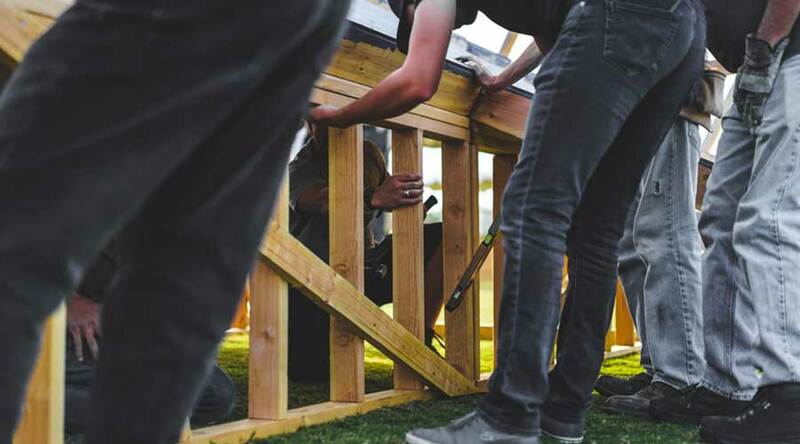 Each homeowner will be encouraged and given ideas of how to not only work on the project themselves with volunteer groups, but organize and get to know local neighbors through helping with others’ homes, sharing meals, or organizing an event to meet and celebrate their neighborhood with one another. Next Step Colorado Springs is excited to see where this community development and community involvement goes for this certain neighborhood. As much of this is in the works, including how to go about reaching out to community members, we are enthused about the start of these relationships and collaborations, together. For summer 2019, Next Step is more than excited to help out with an event that Family Life Services (FLS) is putting on! This event will be a community fair at FLS called Family Life Fun Night. Just some quick background about this – I first started this journey by simply asking and listening to our local partnerships describe an idea they would be passionate about. When I reached out to FLS, I already had a small idea about doing some type of family fun night during the summer, perhaps the idea of a fair. And to my surprise, Family Life Services was already thinking the same, just in the early stages of figuring out how to go about the event. Wow! Come on somebody, that’s always a good sign! Family Life Fun Night will celebrate the mother’s and their kids in the program. We all agree that each family deserves to know that they are loved and should be celebrated. Through some previous experiences, I’ve learned that celebrating creates special memories and is a healthy thing to do throughout our lives. FLS has been housing single mothers and their children since the 80’s, yet many are still unsure about what’s going on at Cascade Ave and Cheyenne Rd. An additional component is that this event will create community awareness and involvement. We will begin to reach out to local businesses around FLS asking for support through finances. We will reach out with a flyer and a face to face meeting- this flyer will educate the local not only about the event, but about what FLS is doing in their community year round. Along with the invitation to give financially, we welcome them to attend the event. At the event we plan to have different ways to learn about FLS and meet some of the staff and families that make up this community. Local churches, organizations, and homeowners that Next Step is involved with will also be invited to the event. The event will look like a typical fair. We’ll have a bounce house, possibly a face painter or balloon twister, and games. The event will be prepared, decorated and games led by Next Step summer students and staff. I must give credit to FLS with the idea of having a dunk tank so they can dunk Next Step staff at some point during the night. Little do they know, we will surely be dunking them as well. We will be reaching out to a couple local food trucks. FLS families will eat free but other attendees will need to pay their way for a meal. We also want to have a professional photographer that would set up inside of FLS’ main building. The photographer would take professional pictures of the families. These quality pictures would be framed and given to the families to cherish together forever. None of this will be possible without everyone getting together to make this happen financially. Please follow the link below and select Colorado Springs to give financially to make this event happen. Thank you for your donation and prayers, let’s do this! It’s easy to get caught up in the logistics of it all. Sometimes I could define working for a ministry as being a logistics master. I don’t know about you but that sounds gross. Even as an organized detail-oriented personality. I don’t want it to be that way, but it definitely has its moments and it’s surely part of working in ministry. Recently Next Step has been seeking extra housing for weeks that may be too large for our host church, FUMC. 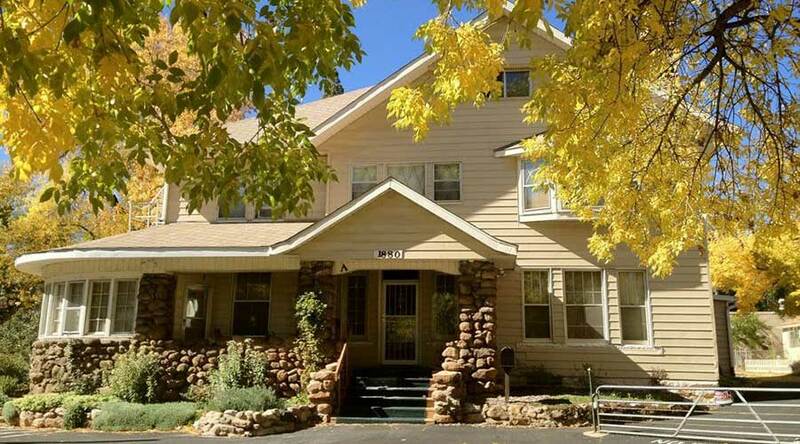 We want to welcome and accommodate as many as possible, while at the same time being sensitive to the space we share while living here in Colorado Springs for the summers. There is more than enough need than we can handle in town, and with more groups we can help out more organizations and homeowners. It’s also a great way to get different churches involved in what is going on. Another logistic we have been working out here in Colorado Springs is showering for our trip participants- a practical and important detail. On the other side, I met with a few homeowners recently that are going through some tough times. I often if not firstly ask what their community looks like. They each seemed to not know their neighbors too well or aren’t involved within any church community among town. For some, their closest family lives hours away. I sometimes ask what if their neighbor happens to be a handyman (or woman) and could help with some repairs on their homes that they need, and all they needed to do was simply ask. One homeowner has no insulation within her modular home. The day I visited her was among our first cold here in the Springs. I even felt the need for a jacket and knew this was not nearly as cold as what we will see. I asked the homeowner what she does in the winter when we see our coldest days? She simply replied that she wears more blankets. Both of these contrasts, I think, are all part of caring for people. If it’s logistics and you’re wondering how this is caring for a person, or it’s an actual meeting with a person and hearing their story, they both go hand in hand in order to finally reach people. I think about how Jesus organized and had disciples. He had His reasons for that. He would sometimes ask his many disciples to go out in pairs to pave the way and seek peace from town to town, home to home. With Jesus’ planning and gathering of disciples, he used to reach more lives. I think it’s easy to get caught up in the logistics, the planning, details, supplies, facilities, coordination, gathering. But I am so thankful for the people I get to meet amongst all of it that keep me grounded and remind me of what’s going on in the community. That even in a city with 450,000+ residents you still can feel lonely. Yet God has a plan to meet these homeowners and for them to hear the Good News. As Next Step sinks deeper into the Colorado Springs community, I’m seeing trust being built among relationships. 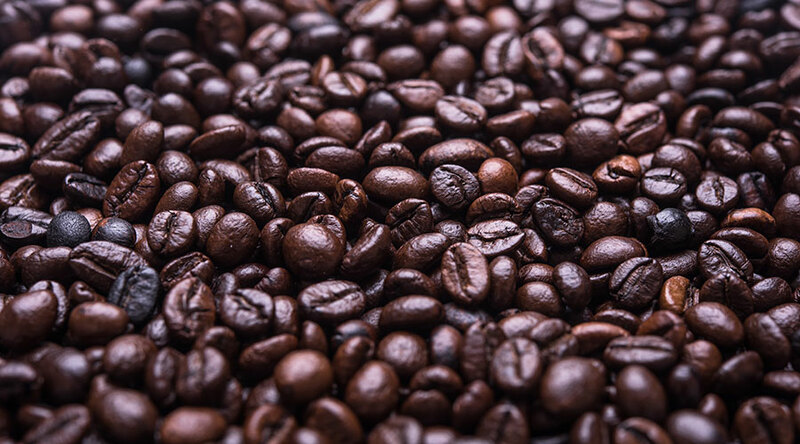 Homeowners, organizations and their volunteers, and even the random other ministries I meet with or sit down for a cup of coffee with seem to have developed a new level of trust with us. They are seeing that Next Step isn’t going anywhere. It’s one thing to say we will be here, and it’s another to actually continue to follow through with it. In a culture where I’ve come to believe ‘talk is cheap’, I think that everyone involved in the Colorado Springs community that is aware of Next Step ministries is seeing that we are actually, here to stay. There is a ton of need here and I pray that ultimately the community is able to internally generate more than enough resources to sustain itself. I’m happy as well, to see Next Step’s commitment to the Colorado Springs community and to get to be a part of it. So, what am I getting at here? I’ve seen in my short life-span that we all too often pray only when it gets rough. And I don’t know about you, but I think I need an alarm clock on my life-consuming phone to remind me to pray. I don’t want the bad news, poor circumstances, or a trial to become the ‘alarm’ into me praying and talking with God. Let’s continue to really pray over Next Step in Colorado Springs. What I’m saying is, things are really good, not perfect but that’s ok (perfect is weird anyways). Now that we’re here and here to stay within the Springs’ community it’s easy to become content with where we are and quit praying, praising, and thanking God for what’s happened and and forget to come to him with the hopeful expectation of what is to come. Let’s be excited for the future and pray over what’s going on right now that will affect the community and all of us later on. There are so many things within Next Step being here in Colorado Springs that never end up in a blog. It never ends up in weekly update or the newsletters during the summer. And I think that’s more of what prayer is about. At times it feels like talking into the air and even pointless, really. But there is something happening in a spiritual place that we have no idea about. We can’t see it, we can’t touch it, but things are getting organized and orchestrated that is rooting Next Step in the Colorado Springs community even more. Pray that Next Step connects with more homeowners. Pray we see long term fruit from a relationship with our host church. Pray for a strong community night that would happen once a week in the evenings during the summer. Pray Next Step is able and can make an impact for transitional housing. Pray needs are being met through kindness and people are then cared for by the love of Jesus. During the summer, I often visit worksites on Thursday to check in and see how students, staff, partnerships, and projects are doing. 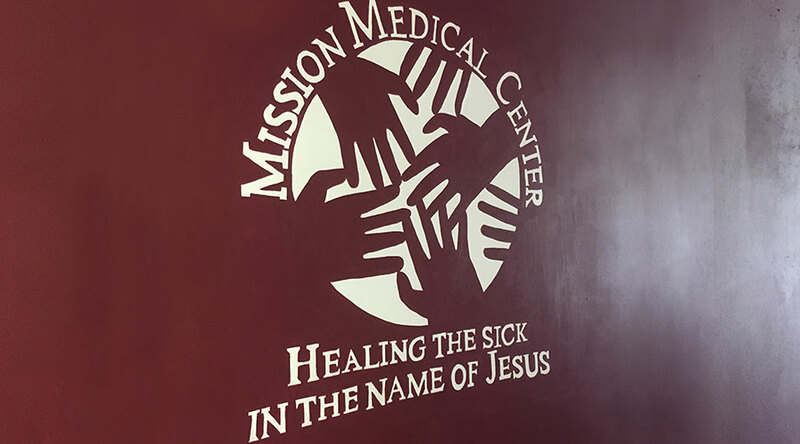 On one of my check-ins to Mission Medical Center (they provide healthcare to uninsured individuals) I met with a leader and a couple students and asked about how things were going and how the week went. They expressed how surprised they were that something like Mission Medical Centers exists and how amazing the stories are that come out of it. They wondered if there was anything like this in their hometown and how they could possibly get connected to it as a church. Yes, it’s working! But they also talked about a story that they had heard from Crossfire Ministries that is right across the street. On Tuesdays the group goes to Crossfire to help with their food pantry, clothing store, and home goods distribution center. I’m not sure how to explain the amazingness of Crossfire Ministries. Everything is completed by volunteers and started by a man named John and his family that simply heard the call to start a center that helps people with tangible resources. 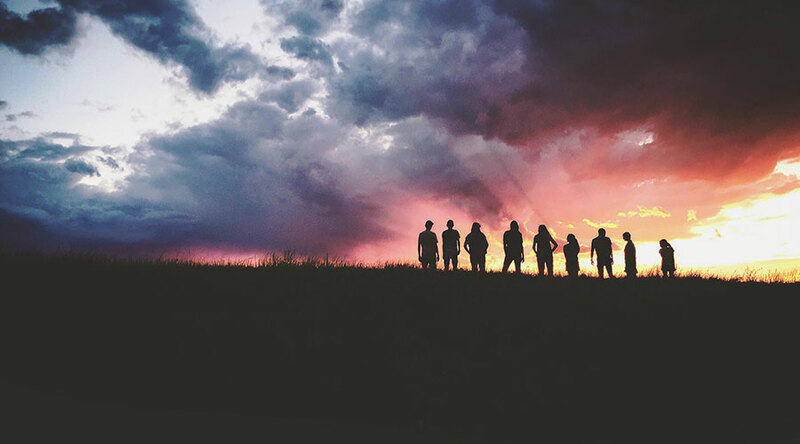 Many of the volunteers consider Crossfire to be their church – because it is. It’s a living and breathing community that serves the community through the example of how Jesus served. Sounds like a great church to me. Anyways, the leader and students told me about a story that John, the director, of crossfire ministries told them. John said he once went on a mission trip just like the one they were on, except down to Mexico. While he was there their church decided to provide a BBQ meal and eat with the community that they were working in for the week. They got the word out, I can imagine door to door knocking, paper handouts, a plane flying a banner overhead… ya know the usual church advertisements. They expected a handful to maybe 50 people to come. They were wrong. With their small serving table, a cooler filled with a bag of ice and waters, the grill fired and ready to flip some patties – people showed up, and kept showing up. The word got out and friends of friends showed up. The church missionaries shared a blank-staring panic, “we won’t have enough food”. But as John saw the line growing larger and larger, he simply said to just keep serving what they had, it’s all they could do at this point. But after a few hundred people passed by the line and everyone was fed, they realized that they never ran out of food and water. The cooler of waters was even full with what looked like a fresh bag of ice. There was enough food and drink for them to have themselves. I think we often lose hope when we see there’s not enough. But God promises us differently. “Just keep serving”, like John said, and it may just keep going. Not only were they able to serve everyone, they were able to eat themselves. More than enough. I think to myself, “what am I hopeless in and need to just keep serving even when I see there isn’t enough?” Maybe it’s my time. I see there’s not enough time in the day to do what I need to get done before the next day hits and it too doesn’t have enough time. Perhaps it’s financing. Do I have enough to make rent? Maybe it’s even knowledge or talent to perform in an area at work or hobbies. But I think that as we put what God has already given us into the jars, we’ll see that He is giving us more than we need, and more. The second summer in Colorado Springs has just wrapped up. I remember not even 3 months ago heading to Wisconsin to meet the team of Next Step staff that were committing to serve the Colorado Springs community. At that time, I had a lot of butterflies fluttering around in my stomach. I remember thinking ‘How was God going to show up this summer?’ and ‘What did He already have planned and stored up for us?’ Amongst those butterflies was a bit of anxiety for how things would go. As a Partnership Coordinator I feel a little bit like a party planner. Imagine sending out the invitations, planning the venue, setting up activities, setting the table, and getting everything in order – yikes, feels like a bit of pressure. But as the team arrived to Colorado Springs I realized the pressure quickly faded. The team began to seep into every nook and cranny of partnerships, gaining relationships and taking the lead. This summer was definitely a reminder that a team is vital. That saying, “many hands makes for light work” was surely my lesson. During the last couple of weeks when projects were winding down, I remember going into the kitchen of FUMC and seeing a sprawl of banana breads being taken out of the oven. I asked the ATL what’s the occasion for stepping up our cooking game? But Etta responded that they were for some of the partnerships we had been working with. Whaaat?!? What a great idea and I had nothing to do with it. 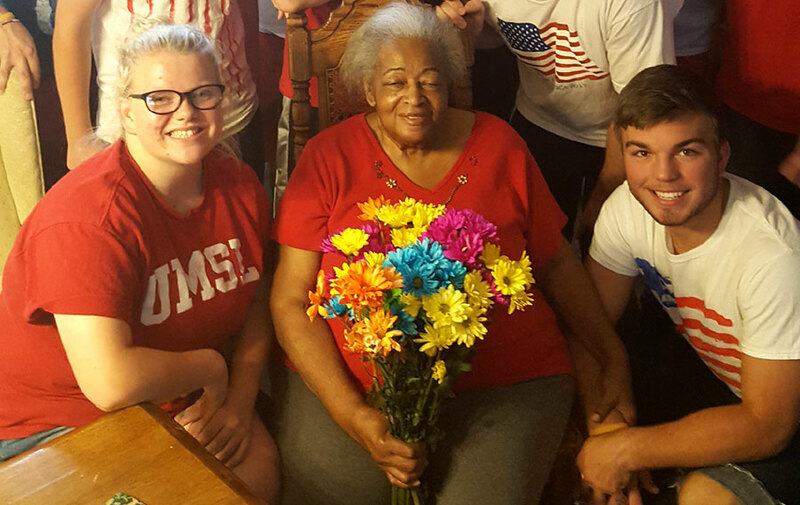 The final week the team decided to end the summer with Ms. sweet sweet Gloria to visit with her and take care of a couple things around her home. I never imagined going back to see Gloria after the second week but what a fantastic idea and way to end the summer on a good note! There are so many other instances and things that I don’t even know about that happened this summer. I am so thankful for the team this summer, for getting after it and taking their own initiative to lead. God will bless them in multitudes for their work. Go team. Summer in Colorado Springs has been a ton of fun and hard work! We’ve worked with a few the same partners all summer that we did last year. It has been phenomenal seeing the ease of getting into the summer working with familiar organizations and people, all thanks to the relationships we have been able to build together. Family Life Services and Mission Medical are two organizations that we worked with last year and have been all summer long projects this year as well. We’ve also added High Plains Helping Hands which is a farm east of town toward the flat country. We’ve added about 30 above-ground grow beds in order to begin planting food for their food pantry. Many are amazed that we get to be a part of such a big dream of High Plains Helping Hands. Although they already have a couple green houses that they use to grow vegetables, they have a few more acres to plot a farm, also adding chickens, goats, rabbits, and what seems like something new every time we visit. There is a ton of work to do here and it’s awesome to be a part of something from their starting stages. We are looking forward to what is next! First United Methodist Church is buzzing with Next Step staff, students and leaders. It feels like excited organized chaos, while things are getting done and people are being moved by what God is doing within the Colorado Springs community. Many of the leaders I’ve talked with say they knew Colorado Springs was a beautiful place and all of the things it’s known for, but after a short amount of time they do see the needs that we are able to help out with. During our week of June 24th our host church, FUMC, had a week long VBS that took up the entire church’s space. Although we didn’t help with the VBS we did stay at another local church called Discovery Church. Within the first phone call Discovery Church was happy to host us for our week in need. A huge blessing! We look forward to chatting after the summer to see how Next Step could get more involved with Discovery Church, definitely something to explore and discover. There is A TON that happens every day during the summer at every site. And I wish that every student, leader, and Next Step staff could blog about their experience while I’m only hearing about what’s going on each day at the many work sites. All I can say is thank you to everyone involved this summer, I know that we’re creating impact that will last forever – on the community and ourselves! Since starting work in Colorado Springs we have partnered with our host church, First United Methodist Church. FUMC has welcomed us into their community in a huge way that many may even take for granted – allowing Next Step to have a place to stay! But I have to tell you, it’s no easy thing coordinating with a church that is so active within the community and not to mention the many other places outside of the state of Colorado. I remember picking up a pamphlet in the lobby during one of my first visits to the church. I stared down a long list of local ministries FUMC works with, volunteers at, contributes to in tangible ways, local food pantries, addiction and recovery meetings, city meetings, Bible studies, hosting other church and outside meetings, an acclaimed music ministry and choir, and not to mention everything else that happens that just simply can’t fit into a pamphlet. 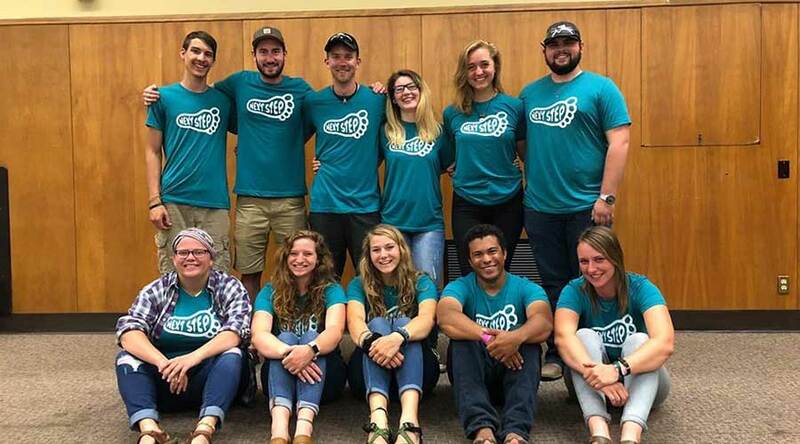 Not all weeks are the same, but on select weeks Next Step has the joy to meet with FUMC’s youth group this summer for a BBQ, worship, a speaker, and games. We are more than excited about this opportunity. I think about how amazing God’s Kingdom is for moments like this. So many of the youth coming together, all groups from different places. We may be from different places in the country, age groups, family situations, friend situations, personal fears and doubt, but there is something powerful about getting together and praising Jesus from all of our different places, in the same place, same God, same love. At the end of March we had Colorado Springs’ first ever Off Season Trip! We stayed at a brand new church called Fellowship Bible Church for the week and they really were a blessing to the ministry and everyone involved. We are definitely hoping to stay connected with Fellowship Bible Church in the future whether it be worship with their community, housing, or anything else we can be creative with. We of course plan to continue with FUMC for housing although the week of our Off Season Trip conflicted with their church schedule, so God opened the door with Fellowship Bible Church for the week – Yaaay God. Over 100 feet of fencing installed for the safety of residence and their families at Family Life Services. Farming plots tilled in preparation for gardening all kinds of vegetables at High Plains Helping Hands. Probably a billion or two pounds of dirt shoveled and wheel barreled. At least that’s what it felt like. The students now have super ripped arms. Family Life Services’ new Property Manager started working and seeing what Next Step is all about. His name is Chris – he’s very knowledgeable of construction and has a huge heart for working with students. One chicken at High Plains Helping Hands was found as a chew toy by one of the farm dogs. An appropriate burial ceremony was held accordingly. Our nightly worship music was joined with some local musicians. Selfies at Garden of the Gods were a success. It was an absolute joy working with everyone this week. The students worked hard, played hard, and worshiped hard. It’s amazing to hear feedback from partnerships and how excited everyone is to continue planning for projects coming up this summer. Thank God for everyone involved this week, truly a blessing. I recently attended a local Christian community event with a bunch of artsy people. We sat around and wrote music together, prayed, talked about church and things we looked forward to in a life with God. It was a refreshing experience. Kumbaya. One of the main speakers talked about hunger (of which has been wrecking me ever since). He used the example of having a child who wasn’t hungry- we all agree that would be worrisome. If this was the case, you would take your child to the doctor. Obviously, something would need to be done, as it is natural to desire food. Yet somehow our spiritual lives seem to skip over that worry, at least mine does. If I’m not hungry for God, that’s a problem and I believe I need to go to the Doctor. 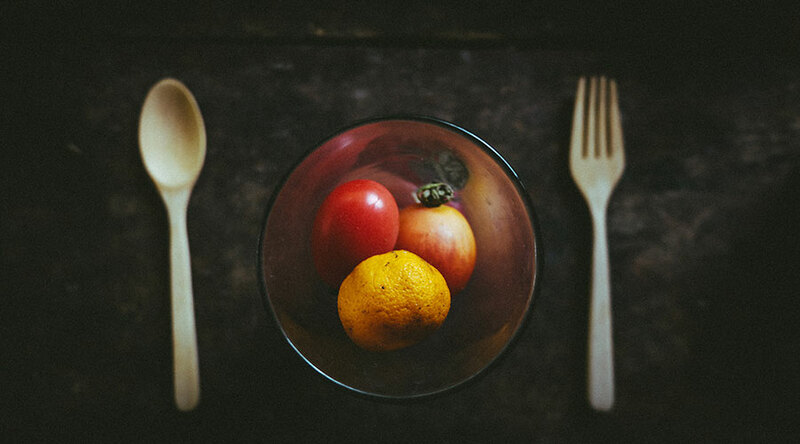 Let’s steer away from the thought that it’s bad to be hungry. Why? I’ve enjoyed a Chipotle burrito the most when I’m “starved”. I can’t get water in my face quick enough when I’m thirsty from a long hike or day of bike riding. I want to challenge you to pray for hunger. Perhaps you’re hungry for God already and that’s not a problem for you. Great- but pray for our communities to become hungry for God as well. Pray that the church would desire God in a way that we feel we would die without Him, that we can’t get enough. Pray that He would place in us the spiritual desire for nourishment. Rid us of ourselves so that there is room for You, God. Pray over Next Step and all that Jesus’ hand touches through us. For homeowners, organizations, and churches to love the broken, unbelievers, people who are homeless, people with addiction, and those with mental health challenges. Pray that the fruits of the Spirit would rule within the hearts of our communities, hopes, finances, the list goes on. May the light pour out of those who are hungry for the Kingdom. My soul is crushed with longing After Your ordinances at all times. Whom have I in heaven but You? And besides You, I desire nothing on earth. O God, You are my God; I shall seek You earnestly; My soul thirsts for You, my flesh yearns for You, In a dry and weary land where there is no water. I stretch out my hands to You; My soul longs for You, as a parched land. Selah. I once saw a sign in front of a church that read, “God answers knee mail”. I couldn’t help but laugh at how awful and cheesy that sounded ringing in my mind. A while has passed since that moment and you know what? I still remember that sign. But more importantly, I remember the thought it brought me to. I also recall a time that a friend of mine once said, “be careful what you pray for”. 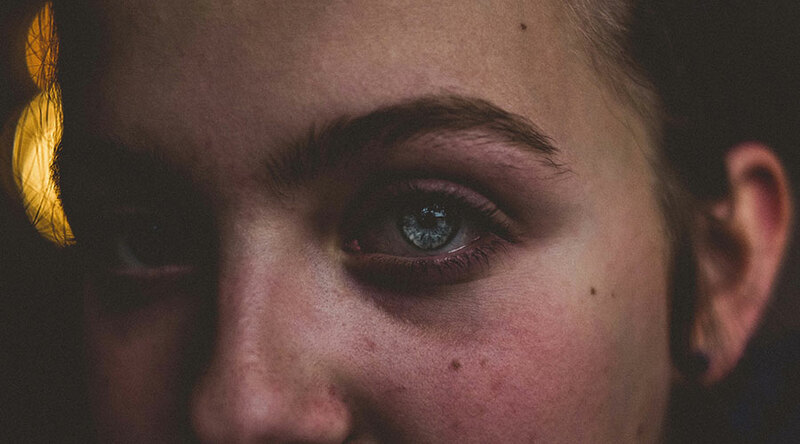 That may sound kind of silly at first – but my friend truly believes that God is listening, and not only that but He has the courage to do something about it. Well, God did and is doing just that with Colorado Springs and Next Step’s collaboration. In 2017 at the start of the Colorado Springs site, I sent one of my weekly prayer requests to the Next Step office asking for prayer to God in starting partnerships that were a “gold mine”- that they would be so good that only God could have orchestrated it, that the work would be long term, way too much to do, and great relationships would begin to impact the community around them. It may not have been right away that we saw Him answer, but now we’re seeing partnerships form that are impactful in ways overflowing to everyone involved. It’s hard to contain the excitement as we begin to plan what looks to be a long-term focused plan, a ‘gold mine’ so to speak. I know this is pretty vague about what He is actually doing, but what I am getting at is that God is going to show up when you pray big prayers. Come boldly to the throne and see what happens. Lay it all out there. Tell Him how you feel. Have the audacity to ask something that only a heavenly kingdom could do. I dare you. January 11, 2018 / Comments Off on Super Powers? 2018 is here. Woohoo! I’ve never participated in a New Year’s resolution but I think I get it – we’ve turned over a new leaf, leaving the old behind and with this fresh start it’s easier to comprehend a life-changing habit. As if we’ve gained a super power at the strike of midnight. Okay, calm down. For me rather, it’s a time for my wife and I to reflect on 2017 and bid farewell, while looking forward to the future about what is exciting. We discuss and dream goals and speculate what may be. But seriously, what’s going to be super about this next year? It may be too early to say but there are some pretty cool things happening out here in Colorado Springs with Next Step Ministries. We’ve hired on a buddy of mine named Denys who has become our Construction Coordinator. Denys and I have spent time skiing, mountain biking, and camping together while growing up in Colorado Springs – all to say we love this state and our community we get to be a part of. So it’s pretty cool to see God bring relationships together to work for His Kingdom. Our goal is to get projects set up early on so it’s even more smooth sailing once the summer hits. We’ve began a partnership with High Plains Helping Hands (HPHH). They are a food pantry residing on the eastern edge of the Springs – Kansas on one side, the city with Pikes Peak on the other. But they’re not your average food pantry. They currently have two 3,000 sq ft aquaponic structures growing healthy sustainable food for the community. Each aquaponic system is able to employ 2 individuals part-time as they help maintain and grow food. HPHH also desires to build 5-7 more structures for growing food with the help of Next Step. This will employ more people, teach them how to cultivate resources, and give healthy food back to the community. They also desire to turn an extra building into classrooms to teach the community what and how to do what they are already doing, at home. Wow! We continue with long term partnerships like Family Life Services, Crossfire Ministries, and other outdoor restoration-focused organizations. It is fantastic to see God’s hand in all of this and bringing it all together. Looking back after just 1 summer, I think we are in a great spot for the future and our work alongside this community. Thank you for your prayers! It’s working. Like a super power. 21 equip you with everything good for doing his will, and may he work in us what is pleasing to him, through Jesus Christ, to whom be glory for ever and ever. Amen. December 7, 2017 / Comments Off on What Season Are You In? Time doesn’t stand still, does it? How often do we hear these words? Where did the time go? Just a few months ago – in fact it was summer. I clearly remember that beautiful summer day, June 19, 2017. This was my first encounter with the “Next Step” ministry crew. I had already met Travis when he introduced me to the program. Early that June 19th morning, eleven people arrived at my home to start working on some of the projects that Travis and I had discussed. Four men, six students and a Next Step staff member. They were welcomed into my home. They were not strangers to me at all. They were polite, kind, friendly, and eager to start working with me. I had never experienced anything like this. They truly represented Jesus Christ! In four days they did an unbelievable amount of work at my home. 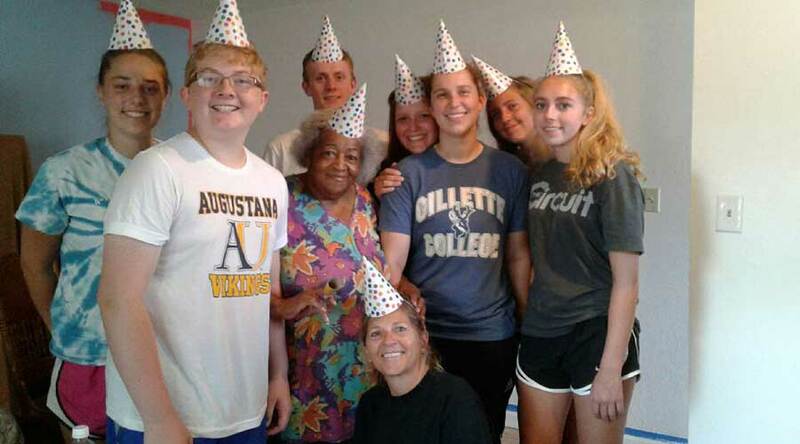 They painted, sanded hardwood floors, repaired bathrooms and any other things that they could accomplish in the time that was left of their four days. There was not a “lime or lemon” in the group. They not only respected me, they respected each other as well. The fellowship we shared at lunch time was rewarding. We had scripture readings and the group as well as myself participated in this time. We learned so much and also enjoyed getting to know each other. It is amazing how and who God chooses to put His creations together. All we need to do is be obedient to His will. We are Servants; His hands and His feet. Summer is gone, the Tennessee group has gone home, but their spirits and what they have done here remain in my heart and my home. The season has changed – we notice the changing of the leaves, the cooler weather. God is everywhere and in everything. As long as we desire to live our lives as God wants us to, all of us can follow the examples of Next Step Ministries who expresses Christ first hand with its loving, caring, and giving spirit. There is much work for all of us to do. We are here to serve, to give of ourselves – to bless the orphans, the widows, and give to the poor. Never let us not forget to pray for the less fortunate and this world. 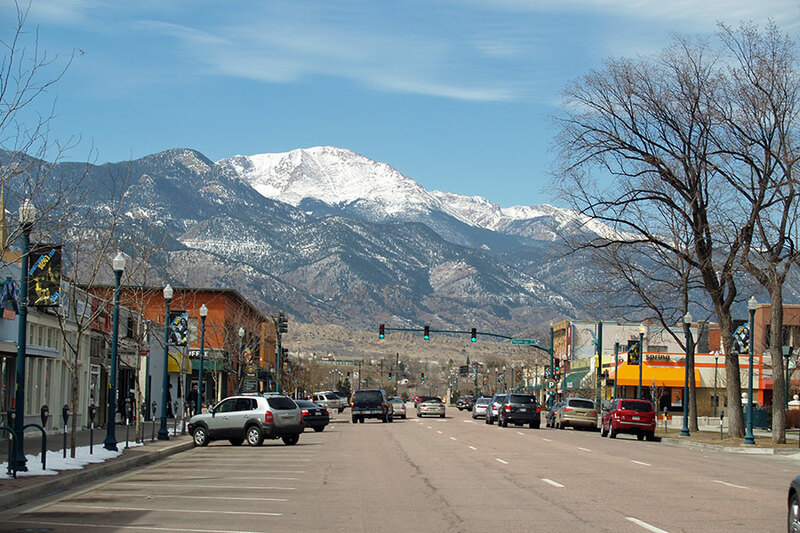 Growing up in the Springs, it’s easy to see Downtown as the center of the city. Perhaps not geographically, but I’ve seen it be the heartbeat of this 450,000 or more populated and 6,000 ft elevated town. If anyone ever visits or stays at my home, the first place we go is the Downtown area. I truly believe that it is the best depiction of both the thriving and broken in the Colorado Springs area. 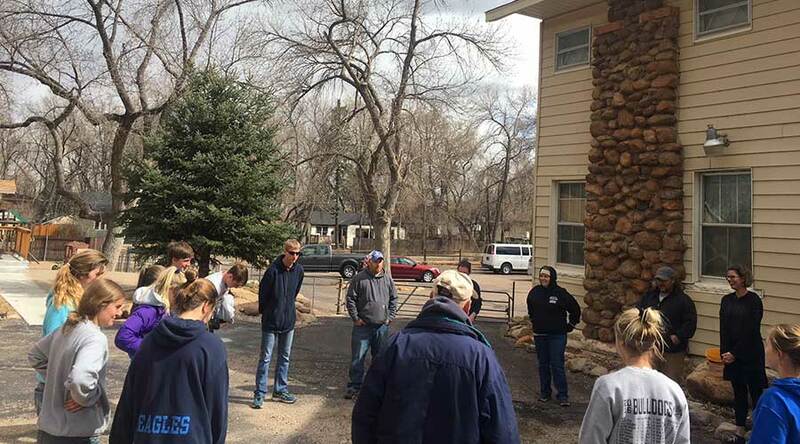 Next Step Colorado Springs stays at First United Methodist Church during our mission trips. And yes, FUMC is in the center of the city, in the heart of Downtown. I cannot begin to explain how spot on it is partnering with this church in the best area we could have asked for. 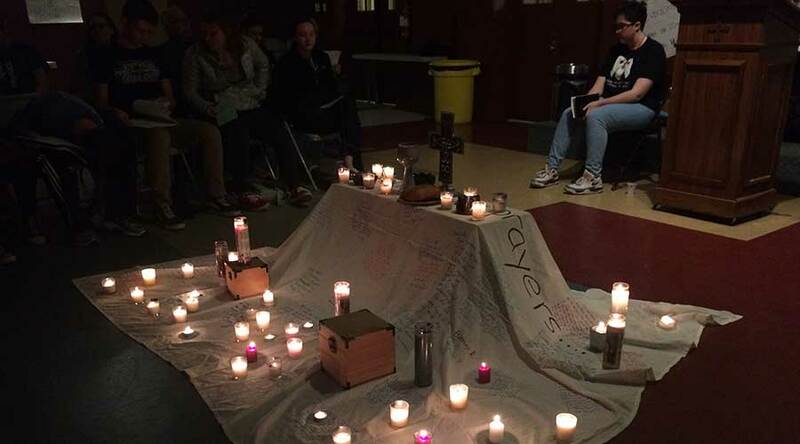 I recently attended a Wednesday night youth gathering at FUMC and was pleasantly surprised. On this particular night, the youth were the ones leading the service. We all sat circled around the altar while students shared scripture, prayed, played music, and together shared what was on God’s heart for us that night. Each of us were anointed with oil, lit incense and then sang a song to the Lord. I’ve heard about places or even times that are thin. ‘Thin’ meaning that heaven and earth are so close that it reveals a sacred and holy presence. Within this church, at the center of the city, in the heart of Downtown – thin places are coming about. I’ve experienced His love first hand in that place. A love that’s not about talking but about doing, getting out there and serving, loving, and praying for the community. Thank you FUMC for allowing us to come into the thin places with you, I pray each of us are ever changed by His presence. The above picture is myself sitting with Patricia. This is a deck that Next Step helped build in the back of her home that she has lived in for many years in an older part of the Colorado Springs city. Not only did we build the deck, among other construction projects, we also were able to paint her house a wonderful purple. It’s her favorite color. She calls it her “pearl” and even says it has greatly improved her attitude around her home. Her neighbors say the purple is perhaps too bold – Patricia just says they don’t have the backbone to sport the color. Wimps. Believe it or not, the first time I met with Patricia I was completely unable to access her back deck from the house. The process to get there included exiting out the front door, down the steps, around the fence, unlocking the clumsy gate, stepping over the rubble, to find a piled mess of… well just about anything you can think of. The deck was buried to say the least. Adding into consideration the fact that Patricia is physically unable to walk down steps – I quickly realized that Patricia hadn’t seen her backyard in years. Wow. This summer Next Step was able to create a way for Patricia to safely get to her deck through the backdoor. She sits here everyday now, for the majority of the day – weather permitting. She talks of the birds, “Oh the birds! They sing to me”. They’ve replaced her television. She says the fresh air makes her happy. Oasis. Quality of living hasn’t been like this for Patricia in years. Not everything is perfect, but everything is just right. 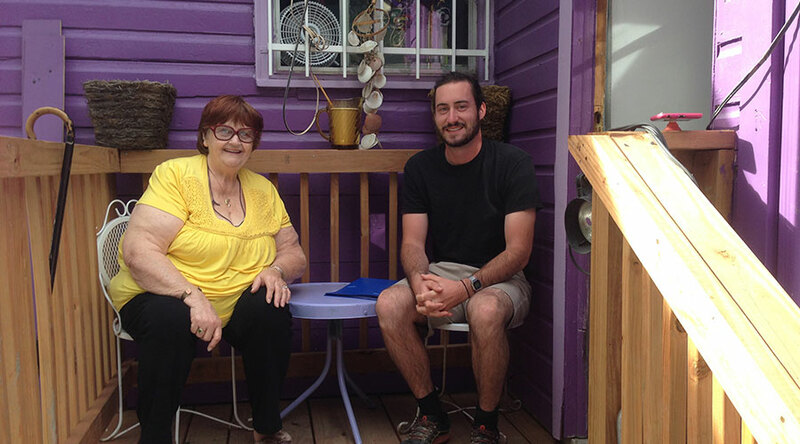 It’s the small changes that do big things and volunteers at Next Step, in some way, were able to be a part of Patricia’s new love for deck sitting. She even talks of having a party in her new backyard to celebrate the purple house. I’m sure we’ll be dancing with the birds. With anything new, there’s always big questions and a desire for direction. 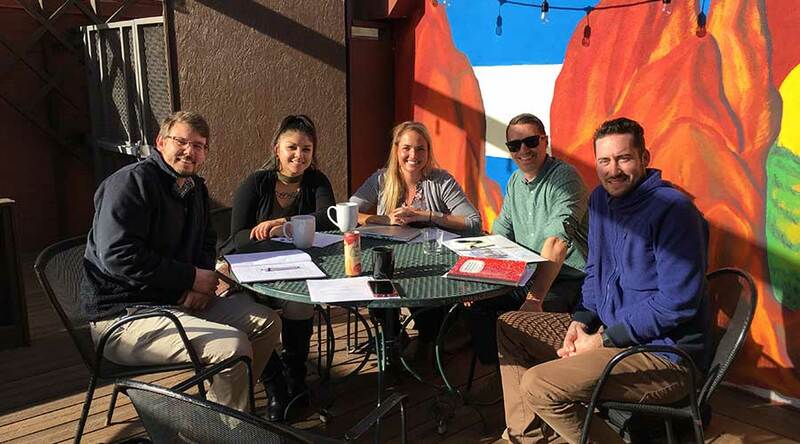 Being Next Step’s first summer partnering in Colorado Springs the anticipation of how and what our first summer would look like stressed no less of a concern. Because at Next Step we desire to further the vision of our community partners, the sky was the limit and the possibilities were endless in terms of our involvement this summer. What past experiences are shaping the future? Where does direction come from? How is God communicating His guidance? First off, past experiences are shaping the future. Plain and simple, boring and practical – we learned that pulling permits for Colorado commercial buildings/organizations are much more time consuming and complicated than pulling a permit for a homeowner. This has naturally pushed the effort towards homeowners. You could say one way is too hard and let’s just go the easy route. Call me lazy. But could God use permits to change the focus for people we partner with in the community? Heaven yeah He can! Secondly, where does direction come from? God and the community. We are called to be fervent listeners. Realize that when we listen to one another, it shows that we care and desire to be in relationship with that person. For example; I’m married. If I never listened to my wife, do you think I’m going to have a good relationship with her? Of course not. 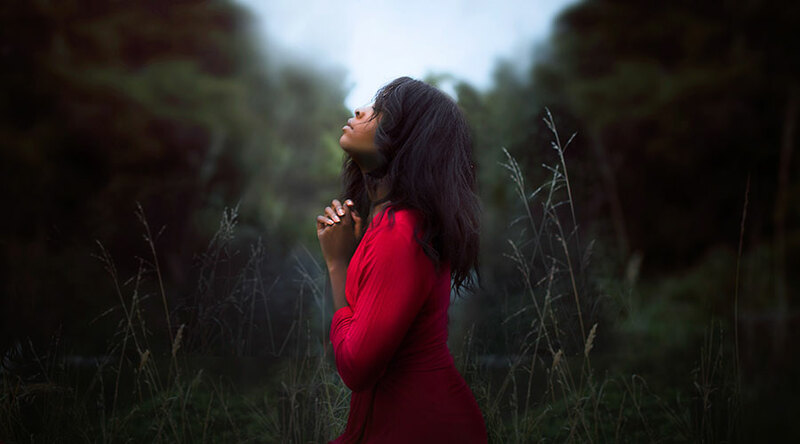 So in the same way we listen to God (perhaps our prayers should be with our mouths closed the majority of the time) and listen to the community; their needs and desires should shape our mission. Save the best for last, how is God communicating His guidance? People. All through scripture we see God using sheep, I mean… people. How baffling that he entrusts us to carry the weight of His glory. Quite literally we see this in the story of the arc of the covenant. People were carrying Him/it on their shoulders as they traveled so God’s presence could be with them from place to place. (Deuteronomy 15:15) All this to say, people have meaning and importance. One thing that sticks out to me was how relational and constructive it was working with residents on their homes this 2017 summer. Just an all around meaningful project. So, what is God’s direction as partnership in Colorado Springs continues? Not sure that a spot-on conclusion is the point. But I do hear Him speaking and guiding through this past summer to seek out homeowners. Pray for continued direction this year and for the momentum to carry us into the 2018 summer. We are excited for the Next Step! I mean next step.